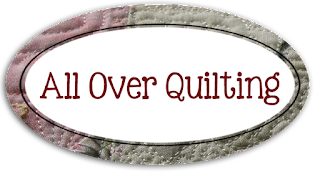 Hi there bloggers & 'Quiltme' readers! I hope the New Year is off to a fantastic start for you. 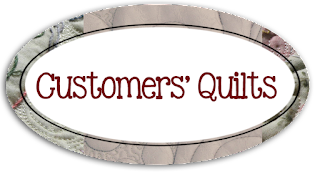 Today I am keen to show you some lovely new tools available for applique, called Apliquick tools. How fortunate I was to be gifted a lovely set from Lynette Anderson to try. For those of you who love the needle turn look, but struggle with this technique, this post may well be worth be hanging around for.......................pop off & make yourself a coffee & read on. This lovely set arrived in mail before Christmas. Hugs & Kisses Applique paper, (this is water soluble paper) apliquick micro serrated scissors, tweezers & apliquick rods. Team this set up with Roxanne's baste it glue, a glue stick & a bit of know how, then you are one your way to lovely looking applique! Remembering to reverse those shapes that aren't a mirror image of each other, trace your shapes out as stated on the paper instructions. If you have a multiple of the same shapes you can put this paper through your printer. Cut your shapes out on the line. Please click on the photo's for close ups. One side of the Applique paper is fusible, iron this to the wrong side of your fabric, then cut out the shapes with a 1/8th- scant 1/4" seam allowance. Clip curved seams. Gather your tools & glues. Using the fork tool hold the shape down on your work surface, with the edge of your glue stick, run a small amount of glue on your seam, or on the edge of the applique paper. Use the tool with the beveled edge to fold over your seam allowance, work your way around your shape. Using Roxannes baste it glue put small dots of glue on the wrong side. Then you can use the tweezers to place your shape on the background fabric. Using an applique stitch, stitch in place. Now looking at this post, I realize my little tutorial would have been more helpful to you, if I had videoed the steps, but I really needed both hands.............Maybe I should have got my cat Simon to help.........but he was busy!! I found the tools a wonderful help. The are a speedy way to get needle turn done, without too many fiddly steps. Lynette has a put a couple of video's on her blog, obliviously her cat wasn't playing on the stairs, like mine & was able to help her! My favourite shop, The Country Yard will be stocking these tools very soon. Simon looks like a cutie ... bet he would have helped given enough treats!!! This would also be a great way to prepare pieces for invisible machine applique. we tried these out last year at GMG in Hamilton when Lynette was here - great fun! Did I miss something? What happens to the paper? I want to know what happens to the paper too? Does it stay in there? If it does, I guess it must be fairly lightweight? the tools look handy. Happy New Year! Love the idea of water soluble applique paper. How great is that for an applique tool set... Thank you for the tutorial. great tutorial Leeanne...i love applique!...and your kitty is darling!